Only a few days are left for the tax-saving season to end. Even if you are late, don’t invest in haste. A small mistake can cost you dearly in the future. A poor-quality investment will not only give you sub-par returns but could also erode your capital. Although the primary focus of taxpayers is to save tax, they need to ensure that these investments are in line with their financial goals. Tax-saving investments should not be made with the sole purpose of saving tax but should also help an individual grow his wealth. When investing in a tax-saving instrument, consider factors such as risk, liquidity and returns. It is also essential to understand the taxability of the gains. If the gains made are taxable, your profit from the product will be lower. In some investments such as National Savings Certificate and five-year tax-saving post office deposits, for example, the returns are added to the investor’s income. He needs to pay tax on gains from these instruments every year. Experts, therefore, suggest investing in products that are either tax-free or have a low rate of tax. Some products give you a tax deduction on investment. There is also no tax on the gains accrued or when you withdraw your investments. Such instruments enjoy the Exempt-Exempt-Exempt or E-E-E status. Those planning their tax savings in the last few days should choose from a select set of products so that it’s easy to make a decision and financial mistakes are avoided. Under Section 80C, you have Rs 1.5 lakh to exhaust. A salaried person should first deduct the contribution made towards employee provident fund (EPF) and principal payment towards a home loan to see the shortfall and then invest accordingly. Tax-saving mutual funds: Equity-linked savings schemes (ELSS) have been gaining popularity steadily. This is due to two factors. While they offer attractive returns, they also have a short lock-in period. ELSS are diversified mutual funds with a lock-in of three years. An investment of up to Rs 1.5 lakh is eligible for tax benefit under Section 80C. Until the financial year 2018-19, all long-term capital gains (LTCG) were exempt from tax. From April 1, 2018, however, LTCG on the transfer of equity mutual funds (MFs), including ELSS, has become liable for a tax rate of 10 per cent. But only gains made above Rs 1 lakh a year are subject to tax. When you decide to exit these investments, you can plan it in such a way that gains are below Rs 1 lakh each year, so that you don't have to pay any tax. Investing in ELSS is definitely a good bet when it comes to tax-saving investments, as they help maximise savings and facilitate wealth generation. Start a systematic investment plan (SIP) now so that you will contribute towards tax saving right from the first month in the next financial year. You will be able to avoid last-minute rush. National Pension Scheme: The central government set up NPS with the objective of promoting retirement planning among individuals. This product is open to employees from all sectors, including private, public and even the unorganised sector, the only exception being the armed forces. Pension Fund Regulatory and Development Authority (PFRDA) manages this retirement-focused investment instrument. NPS investment is a mix of equity, corporate bonds, liquid funds and government funds among others. From last December, the minimum annual contribution for an NPS tier-1 account to remain active has been reduced to Rs 1,000 from the earlier level of Rs 6,000. Investment up to Rs 1.5 lakh is deductible from the individual’s taxable income under Section 80C. 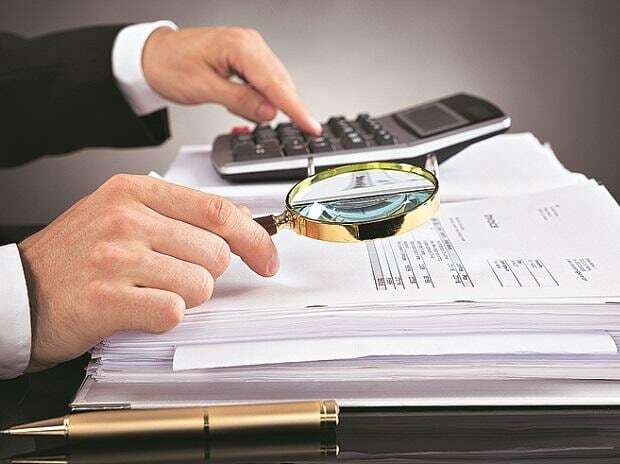 An individual can also invest an additional Rs 50,000 and claim deduction under Section 80CCD (1B), taking the total tax deduction from this instrument to Rs 2 lakh. Public Provident Fund: This tax-saving instrument is trusted a lot by investors. The advantage that PPF holds over other tax-saving avenues is that it has a sovereign guarantee. The lock-in period of PPF is a lengthy one — 15 years. But the long tenure is also a blessing since the magic of compounding combined with tax-free interest will enable your wealth to grow exponentially, especially in the later years. The tenure of PPF can be extended past the 15-year lock-in period in blocks of five years, further enhancing the wealth-generation capability of this investment. PPF is most suitable for individuals who are risk averse and would prefer to avoid volatility in returns. Senior Citizens Saving Scheme: This scheme is focused on helping senior citizens achieve a regular stream of income. The scheme has a tenure of five years that is extendable by another three years. SCSS is known for its reliability since it’s a government-sponsored investment scheme. Not only is it secure, it also provides a relatively attractive return of 8.7 per cent. An investment of up to Rs 1.5 lakh is deductible from the investor’s taxable income under Section 80C. The maximum a senior citizen can put in this scheme is Rs 15 lakh. Health Insurance Premium: It’s not an investment option but is extremely important. An unexpected medical expense is a difficult burden to bear, which is why it is good to ensure that there is adequate health coverage for you and the family. As an added benefit, the premium paid towards health insurance is deductible from the individual’s taxable income under Section 80D. An individual can get a deduction of up to Rs 50,000 (premiums paid for senior citizen parents) and Rs 25,000 (for self and family) under Section 80D, if he pays the premium for a plan taken on behalf of his parents as well.